Purpose: We the undersigned want to prevent the development of Fleming Park’s historic Loop Road trail and preserve the trail and surrounding forests for future generations to enjoy. Background: On March 13, 2019, a parcel of land containing significant portions of the Fleming Park Loop Road went up for sale as seen in the picture. The lot is identified as PID 00252692 and is adjacent to Shannex Arborstone nursing home. It has 16 feet of frontage on Purcells Cove Road, and stretches back to the Northwest Arm. It was listed for sale on MLS for $990,000, and includes two sections of the Loop Road. The registered owner is Arthur Marshall, but since Mr. Marshall purchased the land in 1939 and is listed on the deed as having been a physician and surgeon, he is likely deceased and an heir of his is trying to sell the property. Sir Sandford Fleming donated Fleming Park to Halifax in 1908 for all to enjoy, and the Loop Road is a popular hiking trail maintained by HRM with many users. 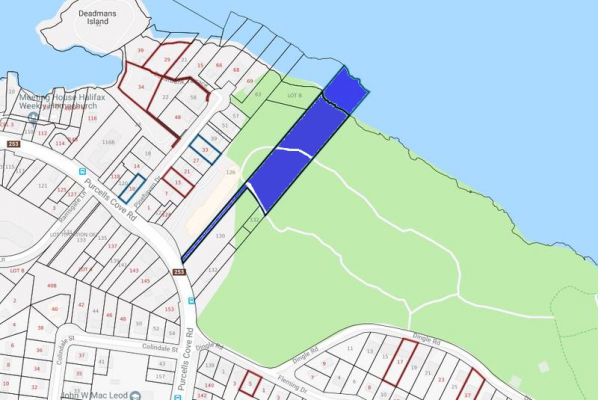 HRM has identified the parcel as part of Sir Sandford Fleming Park for many years. However, the property remains in private ownership and is zoned as R-1, making it a viable location for development unless HRM acts quickly. Remedy sought: We the undersigned request that HRM purchase or otherwise acquire the privately-owned portions of Sir Sandford Fleming Park and protect the Loop Road trail forever. How to help: Sign in support with your full name and include your civic address. NOTE: We are NOT soliciting money or other donations. If the petition website asks you to donate after or before signing, that has NOTHING to do with this petition and no one associated with this petition will benefit in any way from those donations.